In his book, "A Brief History of H. Sophie Newcomb Memorial College 1887-1919: A Personal Reminiscence," President Dixon mentioned that the move to the Broadway campus was a good thing, as the new buildings were better adapted for college use, but that the school was still missing many vital elements, including an assembly hall and a chapel. College benefactress, Josephine Louise Newcomb (1816-1901), had expressed a wish for a nonsectarian chapel on its campus, and Washington Avenue had had such a place, beloved by students. Despite selling all the buildings on the Washington campus, Newcomb reserved their old chapel, and seriously considered taking it apart, stone by stone, and relocating it to the new Broadway campus. Nothing came of this consideration, and the old building was also sold, after extracting and putting into storage the Tiffany windows, which were originally created at the request of Mrs. Newcomb, and chapel furniture for the future chapel. 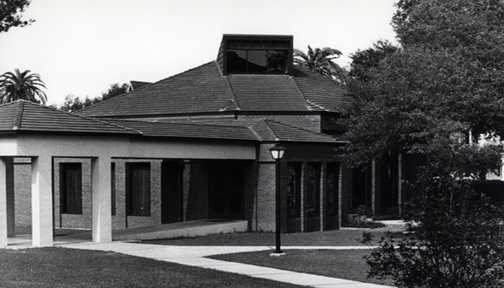 Eventually, the windows were put in the new Myra Clare Rogers Chapel that was completed in the 1970s, thanks to a donation in 1945 from the brother of the late Myra Clare Rogers, a Newcomb graduate of the class of 1896 and a professor at both Newcomb High and College. 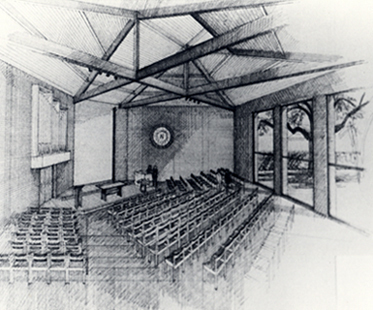 Until the chapel's completion in 1976, Newcomb had to make use of the basement of Newcomb Hall for services. The chapel is used today for religious services, lectures, weddings, and other events. Please proceed to Josephine Louise House, campus building number 75. 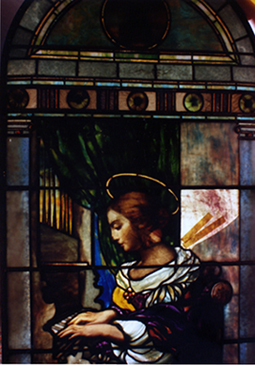 Newcomb College Institute, Lauren Dean, “Myra Clare Rogers Memorial Chapel ,” New Orleans Historical, accessed April 24, 2019, https://neworleanshistorical.org/items/show/170.